Rats can be persistent little blighters. 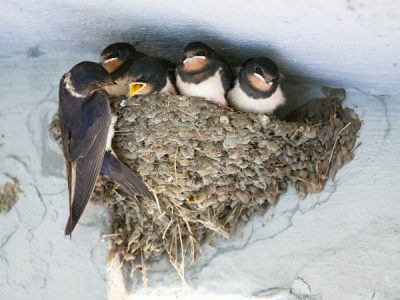 Especially if they have decided to make a nest in your home. And who wouldn’t want a warm, dry place to take a kip or easy access to the food you leave out in the kitchen? There are many DIY solutions to rat activity within your house, but these need constant monitoring to have any effect and can prove extremely time-consuming. From traps to ratsack, baiting to humane catching, how do you really know that you’ve gotten them all? Rats tend to run in packs, and a female rat can have a litter of ten to twelve babies, every three or four weeks! That’s a lot of rats that could be lurking around, unseen (but very much heard!) in your house. So how do you ensure that a rat problem doesn’t get out of hand in your home? Read on to find out. One of the best and easiest ways to create an unwelcoming environment for rats is to ensure that you aren’t providing them with a daily meal. This means keeping all of your food packaged up in solid and airtight containers. You don’t want to be keeping cereal opened in cardboard boxes or half-eaten packets of biscuits to attract pests in your pantry. Rats can squeeze through the tightest of spaces, and even though you may think your pantry is secure, you’d be surprised to see how these crafty critters can find a way in! Likewise, we know that your ornate fruit bowl may look lovely on the kitchen table, but it’s time to keep your fresh produce in the fridge. Living in Brisbane’s warm climate, you may find that this keeps your apples crisper for longer anyway – a win/win! It’s also essential that you always clean up directly after you cook a meal. Don’t leave dirty dishes or pans out on the cupboard to clean for the morning; they’ll entice rodents to flock to the kitchen at night. DIY approaches to rat control can be successful in varying degrees, however for most people, handling rats is both uncomfortable and dangerous. It depends on how many rats are residing in your home, and how thorough you are at keeping up a system of extermination. On many occasions, however, mouse traps are far too small for rat species, which tend to be much bigger. And using ratsack can be risky, especially if you have small children in your home, or pets that could induce the poisonous pellets. If you’re going for a more humane approach, you may want to try an ultrasonic pest deterrent. This is often a short-term solution to your rat woes, however, as rodents can become immune to the high-frequency sounds after extended exposure. It tends to be far safer, and much more efficient, to leave it up to the local pest control professions. After all, rats can spread nasty diseases, so you don’t want them hanging about your house for long periods while you try and tackle the situation yourself! The only way to really exterminate rats for good, is to enlist the assistance of a professional pest control company. A professional will be able to identify the rat species and formulate a control method that will specifically eliminate that species. Correct identification is critical because some native species of rat are protected by law, and require humane trapping and releasing. Furthermore, a pest control expert will suggest and implement long-term rat exclusion methods around your home, after they have exterminated the existing population. This may include closing off common rat entry points into your house. A pest controller will inspect your property with a fine tooth comb to ensure that you aren’t leaving out any welcome mats for rodents! 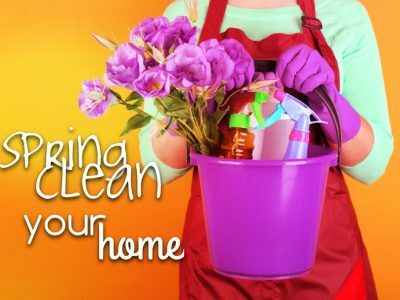 They will also provide services to clean mess left by rodents so that you can rest assured that these dirty, unwelcome pests have not left behind any harmful diseases. If you never want to deal with a rat infestation, maintaining a yearly pest inspection is the best course of action. 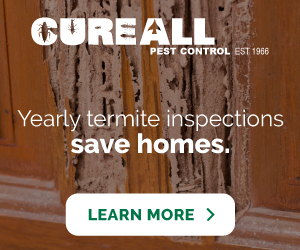 A professional will come out to your home and give it a thorough up and down to ensure that you do not experience any pest problems throughout the year. Remember, prevention is always the best solution! 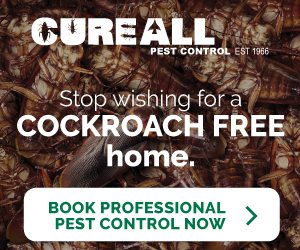 Contact Cure All Pest Control today to organise your annual pest inspection.